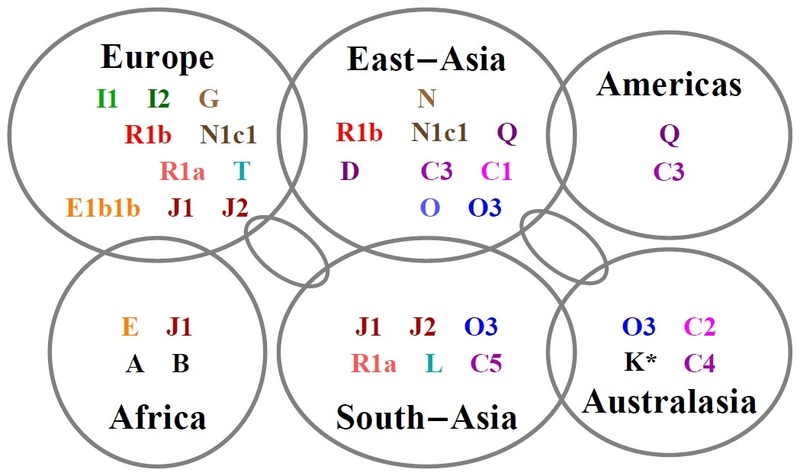 How all Y-DNA haplogroups related? 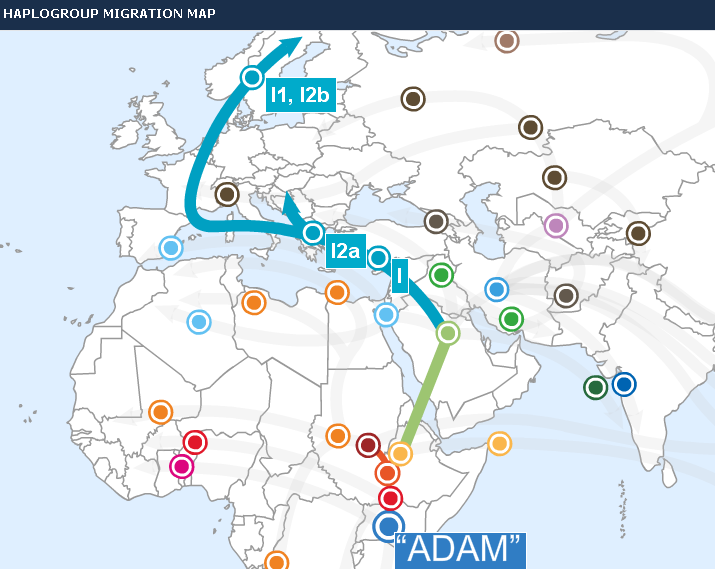 On my FTDNA profile I have human Y-DNA migration map. 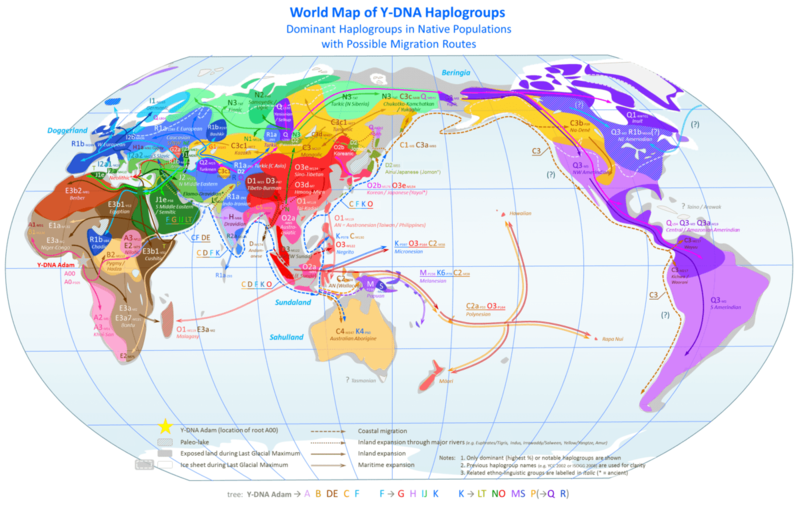 In fact all people belongs to dedicated haplogroup, based on Y-DNA tests. The system shows us, how diverse is the population on the Earth. More about haplogroups or on Eupedia. Old version as of 2014: here. Note: There is definitely dates discrepancy, but as geneticists says it’s normal and accepted. More about I2a-L621 here in my article. Here we can see what Y-DNA subclades existed ~2000 years ago. I’m interested in “R1a” and “I2a”, because these ancestor’s DNA is more related to my DNA. 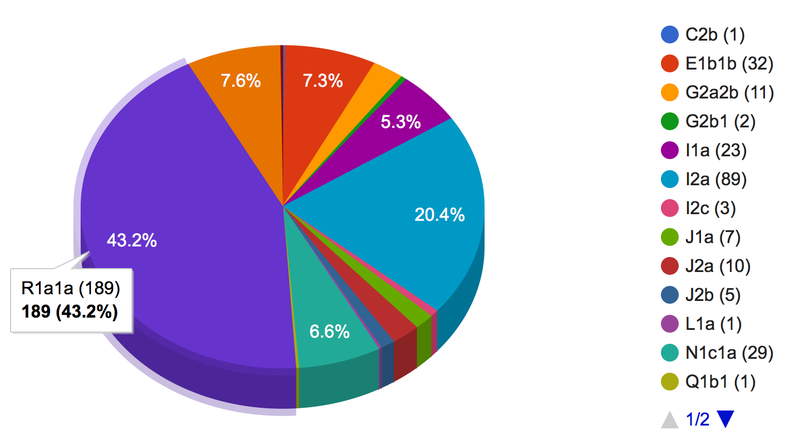 Here is another pie-chart-based diagram, but it has some discrepancy. I2a distribution is in fact shown under i1b label. This map from wiki page shows what predominant subclade of every haplogroup have peoeple who made tests. R1a is proto-Slavs DNA members/haplogroup. Based on Khazaria.Com ~50% Ukrainians belongs to R1a. 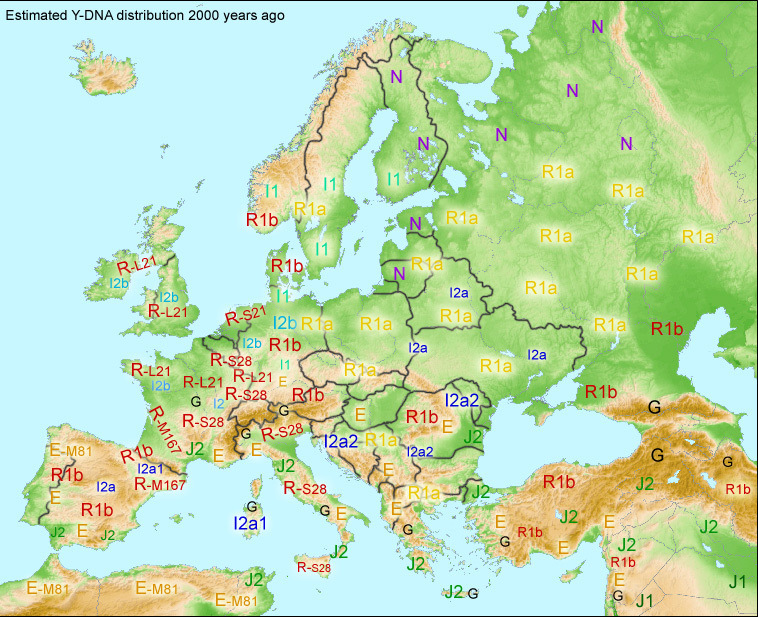 More about Y-DNA haplogroups on Wiki. If we look to below map, we may see, where I2a bearers were spreading and when it could approximately be. “I2a2” – 7800 ybp. ([23andme] more details). One of the places that was repopulated as the Ice Age waned no longer exists. During the Ice Age and for some time afterward, lower sea levels exposed much of the area that is now covered by the North Sea. 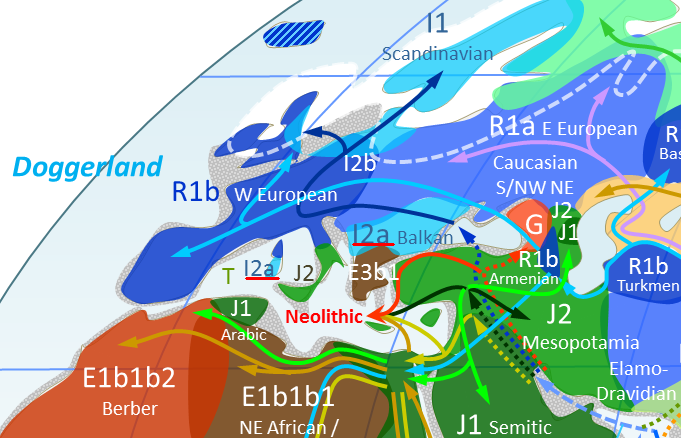 Known as “Doggerland,” it must have been occupied by men bearing haplogroup I, because today that haplogroup is abundant in all of the countries surrounding the North Sea. 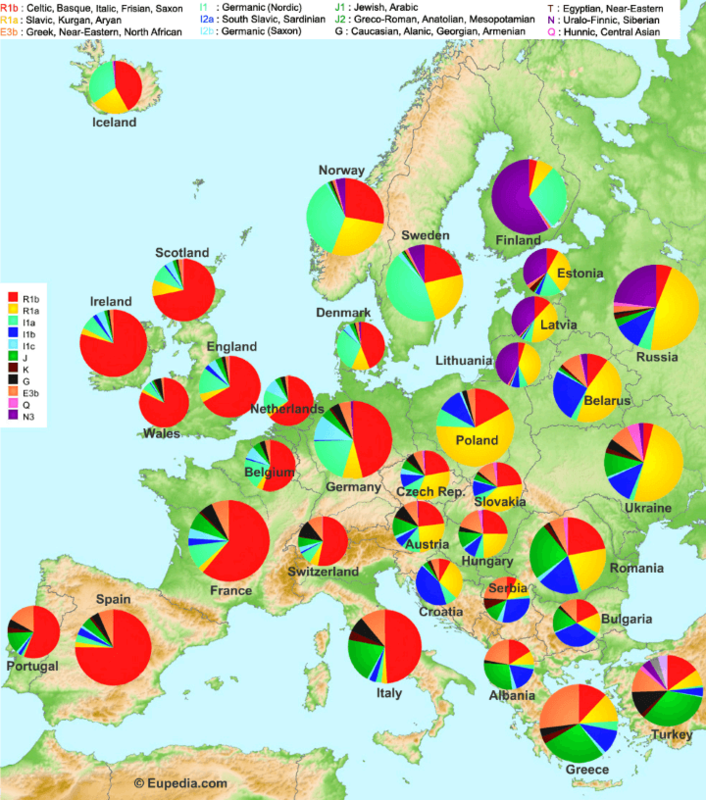 Haplogroup I2 is most abundant in eastern Europe and on the Mediterranean island of Sardinia, where it is found in 40% of the male population. 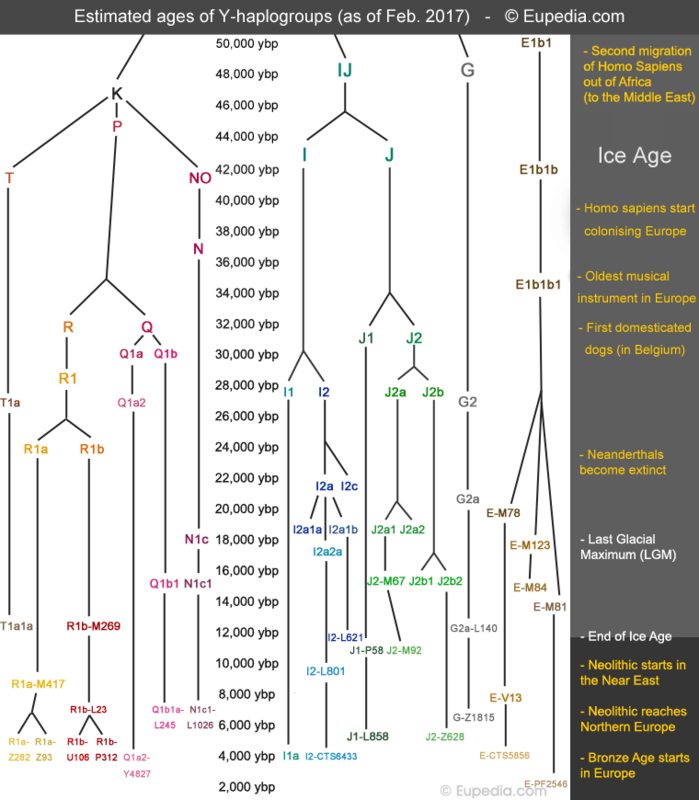 Like its brother haplogroup, I1, I2 expanded northward at the end of the Ice Age about 12,000 to 14,000 years ago. But unlike I1, which expanded from the Iberian peninsula into northwestern Europe, I2 radiated outward from the Balkans into the eastern half of the continent. A branch of I2a, I2a2, is also commonly found in the Balkans. It is a much younger haplogroup, having arisen about 7,800 years ago at a time when the climate was relatively warm compared to the millennia before and after. Like I2a, hunter-gatherers bearing I2a2 began adopting the farming practices of men arriving from the east. Haplogroup I2a is concentrated in eastern Europe and western Russia, reaching levels of 40% in Bosnia and 30% in Croatia. It arose about 11,000 years ago in the Balkans, prior to the arrival of agriculture. Soon after I2a arose, farmers from the Near East and Anatolia brought their techniques to the Balkans, where the local men – who often bore haplogroup I2a – took up the practice. 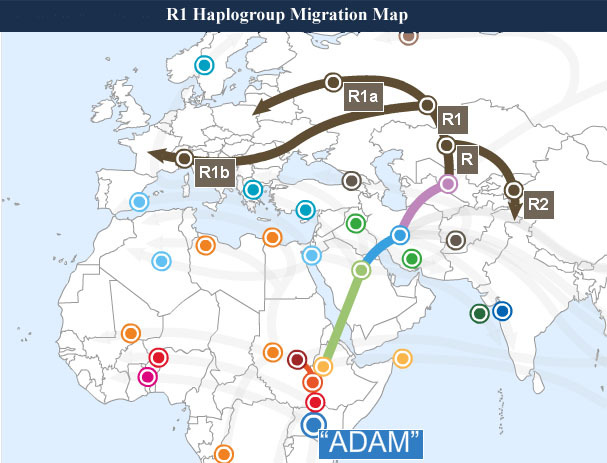 The origins of the I2a1 branch of haplogroup I have been unclear for some time. Scientists now believe it originated high in the Pyrenees, the string of mountains that separates Spain from France. It may have arisen during the peak of the Ice Age about 21,000 years ago, when small groups of people retreated deep into the mountains to survive the harsh climate. About 12,000 years ago, as temperatures warmed and glaciers retreated, men bearing I2a1 expanded into Spain, France, and nearby Mediterranean Islands. Today I2a1 exists at moderate levels in its ancestral homeland, reaching about 8% among the people of the Pyrenees. It reaches extremely high levels on the island of Sardinia, where 40% of men bear the haplogroup. Rola społeczności haplogrup I1 i I2. Wydaje się, że właściwymi twórcami kultury Bug-Dniestr, niekiedy błędnie przypisywanej Praindoeuropejczykom, mogły być owe stare, już w Europie autochtonne populacje haplogrup I1 i I2. Powstały one prawdopodobnie na południowych obrzeżach Morza Czarnego lub Kaukazu i potem pojawiły się nad Bohem, Dniestrem i górnym Dnieprem. Równocześnie na dużej przestrzeni od południowej Skandynawii przez Jutlandię, północne Niemcy i Północno-zachodnia Polskę powstaje kultura pucharów lejkowatych (pol. KPL, niem. TRB, ang. FBC) długotrwała czasowo, bo od około 4300 przed Chr. do blisko 2.200 (jak w niektórych enklawach w Polsce), swoimi wpływami sięgająca położonego między Karpatami a środkowym Dnieprem obszaru kultury Cucuteni-Tropolije. To zapewne dzieło haplogrup I1 (i I2). Zapewne one, już w trakcie swej migracji z nadmorskich ziem pontyjskich w kierunku północnych Niemiec, Jutlandii i południowej Skandynawii i w ramach kultury pucharów lejkowatych formowały etnos proto-pragermański. Nieco późniejszy na tym terenie rozwój populacji KAK i CSZ może być wytłumaczeniem licznych związków między językami germańskimi i słowiańskimi. Kolejne bowiem etapy rozwoju etnosu proto-pragermańskiego i jego indoeuropeizacja następowały po dołączeniu się do niego ludności z praindoeuropejskiej haplogrupy satemowej R1a, a później także kentumowej R1b. Ludność i kultura KPL, zdaniem archeologów, miały niemałe znaczenie dla dalszego rozwoju neolitu i eneolitu w Polsce. 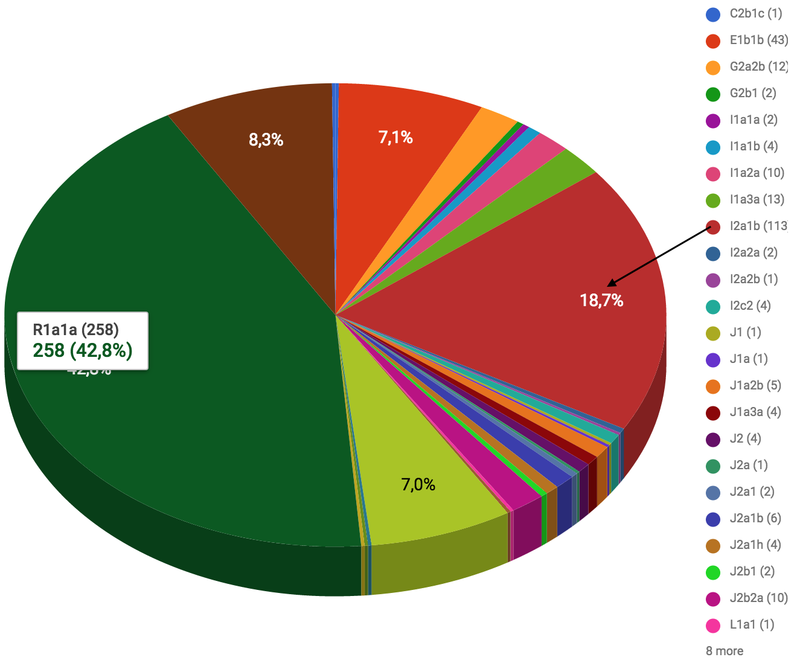 Oczywiście, populacje haplogrupy I1 i I2 były w tym czasie już od dawna szeroko rozprzestrzenione w Europie. Dlatego wpływały na kształt także innych europejskich języków i grup etnicznych. Nowadays, high frequencies of R1a are found in Poland (57.5% of the population), Ukraine (40 to 65%), European Russia (45 to 65%), Belarus (51%), Slovakia (42%), Latvia (40%), Lithuania (38%), the Czech Republic (34%), Hungary (32%), Norway (27%), Austria (26%), Croatia (24%), north-east Germany (24%) Sweden (19%), and Romania (18%). Haplogroup I2 is the most common paternal lineage in former Yugoslavia, Romania, Bulgaria and Sardinia, and a major lineage in most Slavic countries. Its maximum frequencies are observed in Bosnia (55%, including 71% in Bosnian Croats), Sardinia (39.5%), Croatia (38%), Serbia (33%), Montenegro (31%), Romania (28%), Moldova (24%), Macedonia (24%), Slovenia (22%), Bulgaria (22%), Belarus (18.5%), Hungary (18%), Slovakia (17.5%), Ukraine (13.5%), and Albania (13.5%). It is found at a frequency of 5 to 10% in Germanic countries. 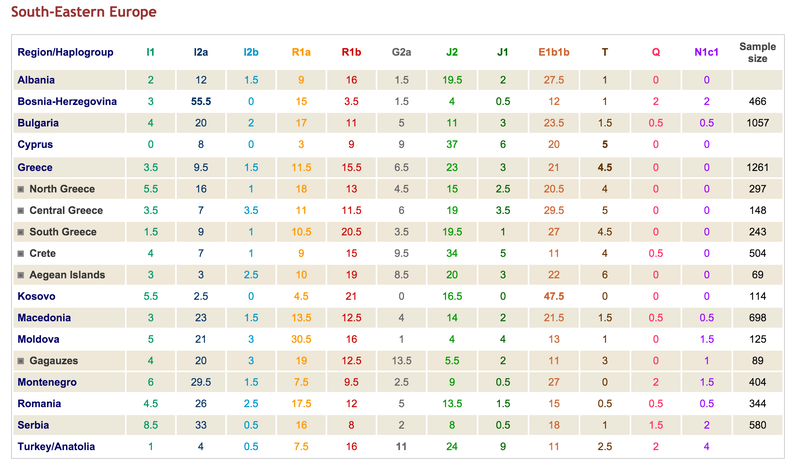 And one more table about how much DNA every country has [Eupedia]. This is snapshot since 2014. Mar-2017 data still the same. This is all about general information about very ancient Y-DNA branches R and I over the Europe. But what about nearest years? What about Ukraine people and their DNA? Nowadays, I2a1 is five to ten times more common than G2a in Southeast Europe, while during the Neolithic period G2a was approximately four times more common. What can explain this complete reversal? At one point in history, I2a1 lineages seem to have benefited from being on the winning side. Apart from a minor boost from (possibly) joining Yamna’s westward expansion to Europe, the principal determining event that allowed I2a1b-L621 to become a major Eastern European lineage was probably the Slavic migrations from the 6th to the 9th century CE. Most modern Eastern Europeans belonging to I2a1b fit into the L147.2 (aka CTS10228, CTS2180 or Y3111) subclade, which is thought to have arisen 5,600 years ago (just before the Yamna period and the Trypillian expansion into the steppe), but has a TMRCA of only 2300 years according to Yfull. The minority of I2a1b-L621 individuals negative for L147.2 are all found around eastern Poland, Belarus and western Ukraine, suggesting that this is where this lineage survived since the Chalcolithic. The I2a1b-L147.2 subclade seems to have expanded very fast from 1900 years ago, which is concordant with the timing of the Slavic ethnogenesis, considering that it takes a few centuries before one man can have enough male descendants to start having an impact at the scale of a (small but fast-growing) population. Nowadays northern Slavic countries have between 9% (Poland, Czech republic) and 21% (Ukraine) of I2a-L621, while southern Slavs have between 20% (Bulgaria) and 50% (Bosnia). The higher percentage of I2a-Din in the south is probably just due to another founder effect due to the fact that the South Slavs originated in western Ukraine, where the ratio of I2a to R1a was higher. Virtually all Dinaric I2a falls under the CTS10228 (aka CTS5966 or L147.2) subclade, and the majority to the S17250 ramification, who descend from a common patrilinear ancestor who lived only 1,800 years ago. 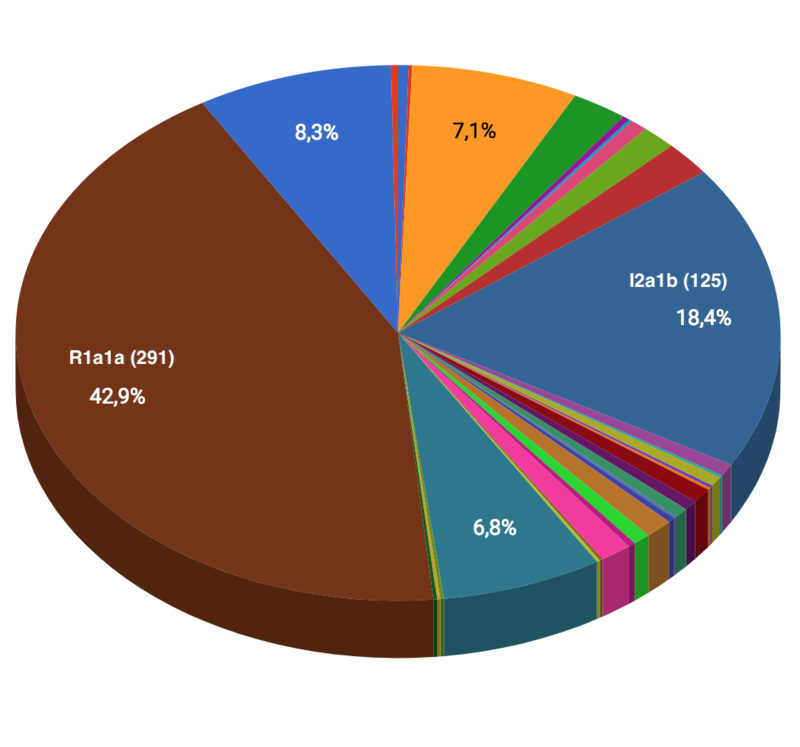 Comparing data since 2014 till 2018 we may say, that ~43% members belong to R1a1a and ~18% belongs to I2a. Since 2014, I recognize the pattern of decreasing R1a and I2a numbers, which does mean, that many people made tests, and they belong to different haplogrpups. 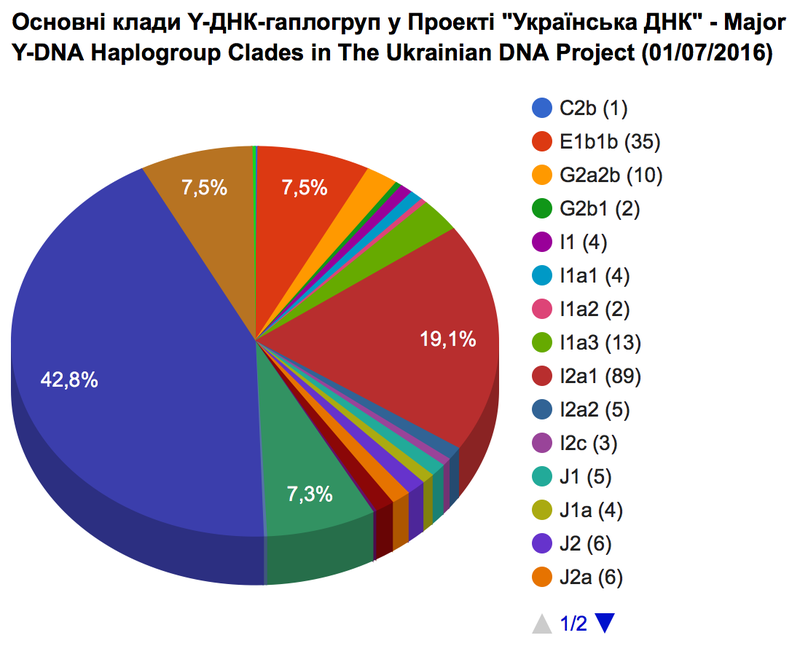 Facebook group Ukrainian DNA Genealogy. Thanks goes to Volodymyr H. Bodnar. 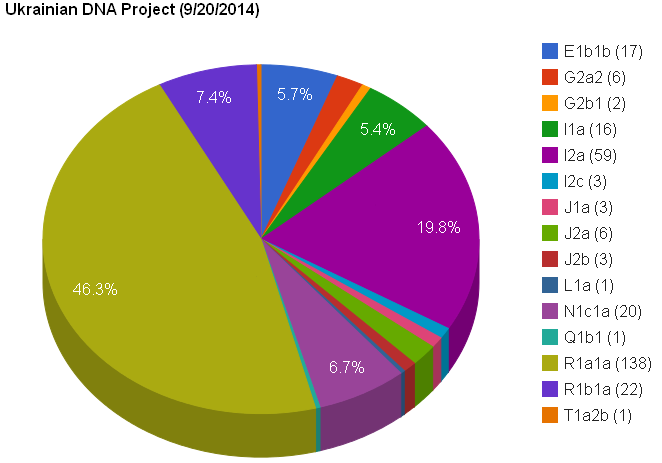 GTDNA group/project I2aHaploGroup. Special thanks goes to Bernie Cullen and Zdenko Markovic. No answer from Ken Nordtvedt, but still thankfully to his work, I discovered lots of new in genealogy research. 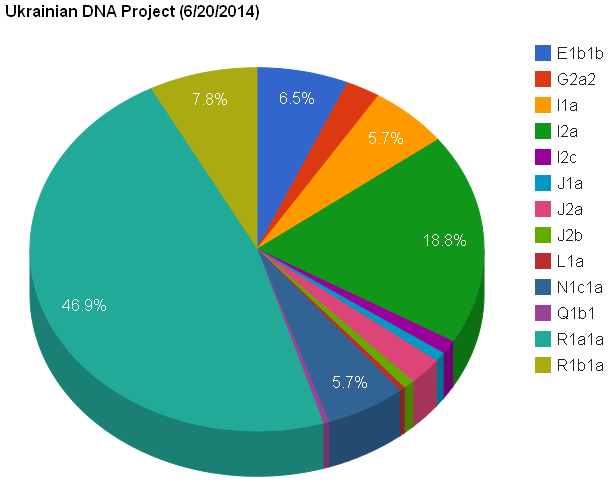 FTDNA: Ukrainian DNA colorized chart. FTDNA: I-L161 (I2a-Isles) – Y-DNA Colorized Chart. 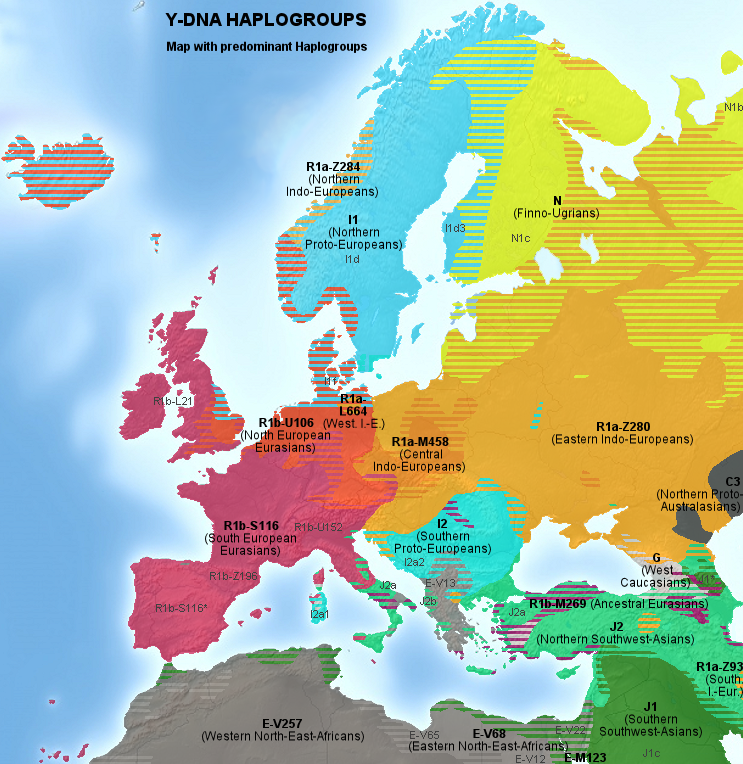 Eupedia: Haplogroup I and subclades. 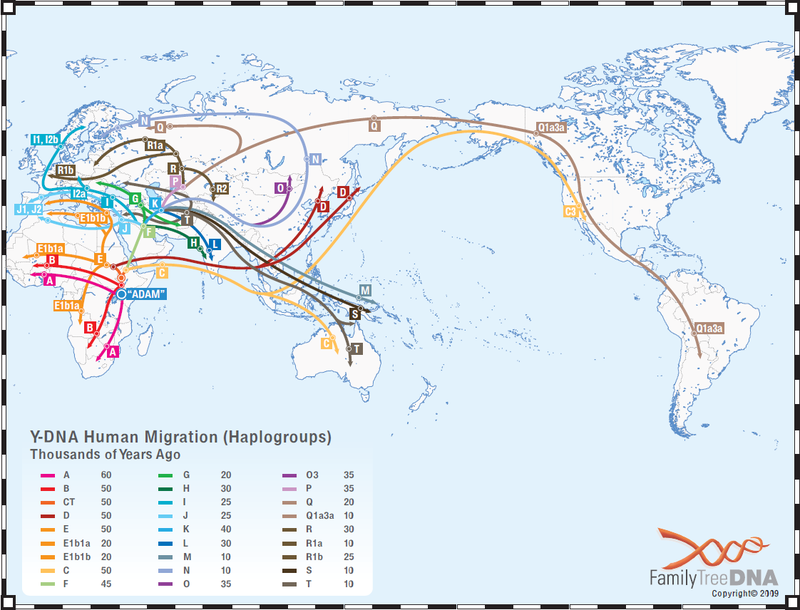 Ancestral Journeys: History of group I.
Goggo: Haplogroup I (pdf, diagrams, charts, years). VNN Forum: Croatians Origins (Goths, Slavs, Illyrians, Chrobatia). The information on the Eupedia tree is out of date, and there are also some errors. For example Eupedia has CTS1028 (should be CTS10228, which is equivalent to CTS5966 according to all current test results) and Eupedia has L41.2 (should be P41.2). The I-P41.2 group is rare but different scientists have found it in several different countries. Our common subclade has no relation to Trypillian culture, all known Trypillian aDNA samples are G2a and E. The genetic legacy of Trypillian culture in modern populations living in Ukraine is not very significant. The question is: when did I-Y3120 get incorporated into Slavs? Parent clade of Dinaric, Disles, is found mainly in NW Europe. Ancient I2a1b samples were found in northern and western Europe, definitely not in southeast. Dinaric I-Y3120 is probably offshoot which migrated from north-west to east and later to southeast. I belong to south Dinaric branch from the Balkans. The Balkan percentages are the highest, but this can be deceiving regarding absolute numbers. The Dinaric branch is more numerous in the east Europe than in south-east. It is less dominant in the east (by percentage) due to the massive R1a, which is not the case in the Balkans. Clade comes from the Greek word Klados = branch. A Clade on the Y Chromosome tree is also called a Haplogroup. Subclade is a term to describe the relationship between two clades with the sub-clade being downstream (occurring later in time). A Clade includes all the descendants of a single founder (common ancestor). Haplogroup is defined as a group of similar Haplotypes that share a common ancestor with a Single Nucleotide Polymorphism (SNP) mutation. Your Haplogroup tells much about your ancient ethnic origins. Meaning thousands of years ago. In the case of our I2a Haplogroup, we all share the SNP (called Snip) I-P37.2+. The I2a Haplogroup has numerous subgroups or subclades, all determined by various other SNPs which we will discuss later. SNP is defined as a change in the DNA which happens when a single nucleotide (A, T, G or C) in the genome sequence is altered. A person has many SNPs that together create a unique DNA pattern for that individual. Snips clarify the branching of a tree–separation of different subhaplogroups. Haplotype is defined as one person’s set of values for the DYS markers that have been tested. In other words, your yDNA test results. 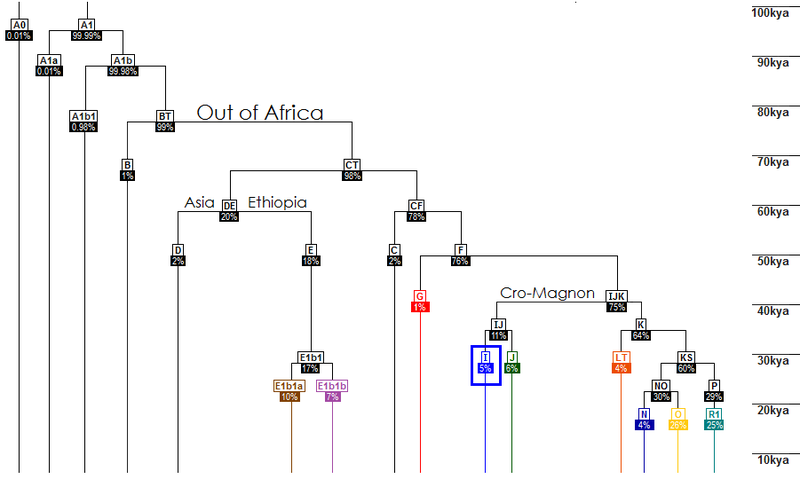 Think of Haplotypes as leaves on a tree, and a Haplogroup as a limb of that tree. Haplotype is a contaction of the phrase “haploid genotype”. Allele is defined as a DNA sequence that repeats at a certain location (DYS marker) on the Y Chromosome. The Allele value is the number of times the sequence repeats. Pronounced uh-LEEL. STR is a short DNA motif (pattern) repeated in tandem. A, T, G or C repeated eleven times would give the DYS marker a value or allele of eleven. DYS is short for DNA/ Y-Chromosome/ Segment. The name of a marker on the Y-Chromosome. a little biased maps here…. 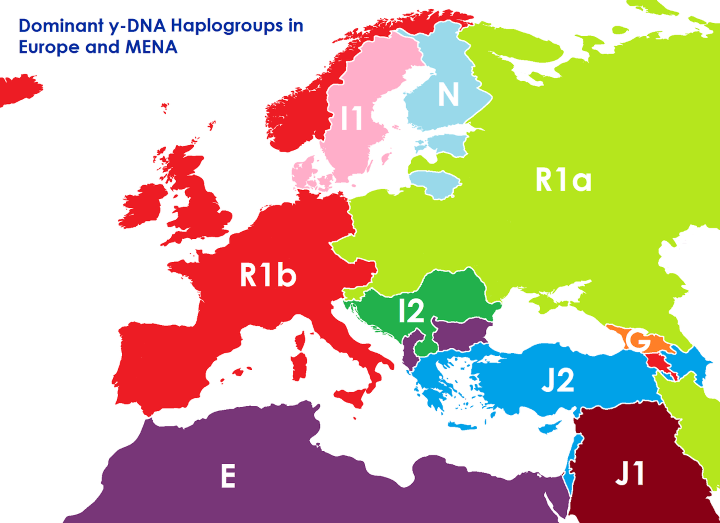 when it comes to I & R haplogroup, it splits them in two I1 & I2 as well R1b & R1a, basically slavs vs western europeans….. when it comes J it stops in J1 & J2 rather than J2a (turks) & J2b (greeks/Albanians/Montenegrians) …. the most off comparison is E hg, marking simply E, that takes back 50-80’000 years ago…. If we drill R hg down to R1a/R1b then so we should do with E, down to E-V13, the only european group of E (albania, bulgaria,greece in high %), slightly found in all old greek territoriesas well from west EU to nordic ones with small %. Other than E-v13, there is almost no E hg to be found in western balkans…..